I am a huge fan of Jay Weidner, a less known figure who has framed a lot of theories especially pertaining to where this world is headed and how fast things happen and about 2012. For some reasons, I was able to tune well with him. Most of my own analysis and predictions happen to sync with him. Time has started to move at a very fast pace, the tension is getting heavier by the day. The future is very dark in terms of where this society going towards. Human beings have been given the liberty to value whatever they like and the objective feeling on what value point towards love. Unfortunately, there are lots of other things considered valuable these days. The pinnacle of it is the rise in the demand for Gold being exponential. Below is the latest graph on the change in price of Gold over the past 20 years. I am not going to bore you with the impact of the increased demand of this metal on the society and to this world. My strong feeling is that this particular metal is going to cause a lot of damage and the day where Jay Weidner going to tell us "I told ya" is not very far away. What we are doing is really a golden mistake. 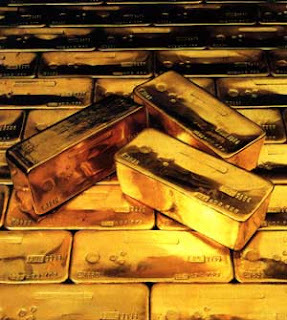 The rise in gold prices is simply because of US debt crisis. Since US bonds have dropped from AAA to AA+ rating, investors all over the world are looking at gold as a good investment option. Some people say this gold bubble is definitely going to burst (fall in prices), similar to the real estate bubble... AFAIK most women in India have already moved to attractive covering jewellery. Good to see you are reading!! I would tend to disagree. Gold would never fall in its price. Even though if it does, not very steeply. It has been and will be rising and for sure is going to cause chaos.